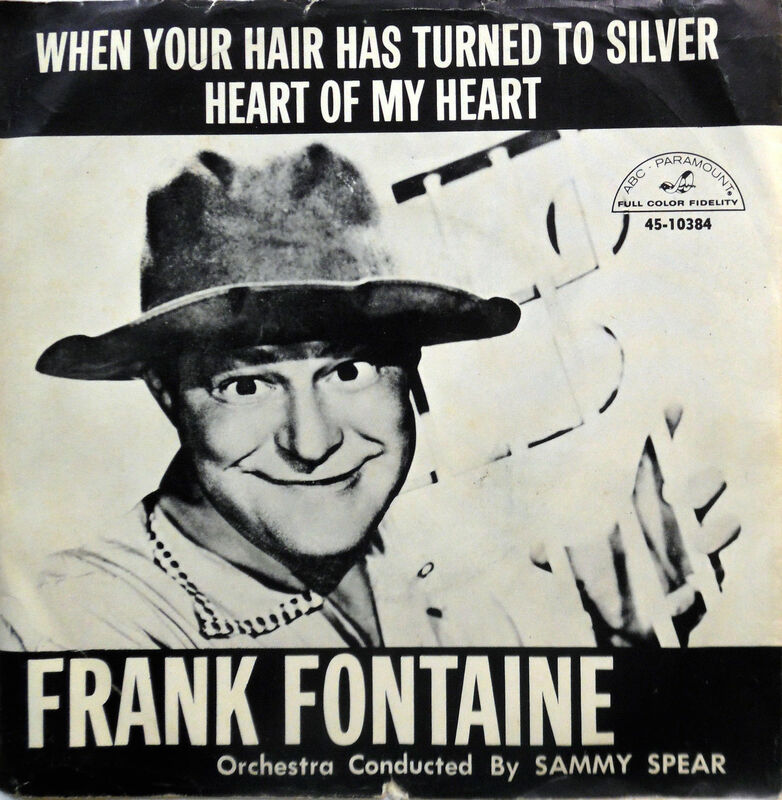 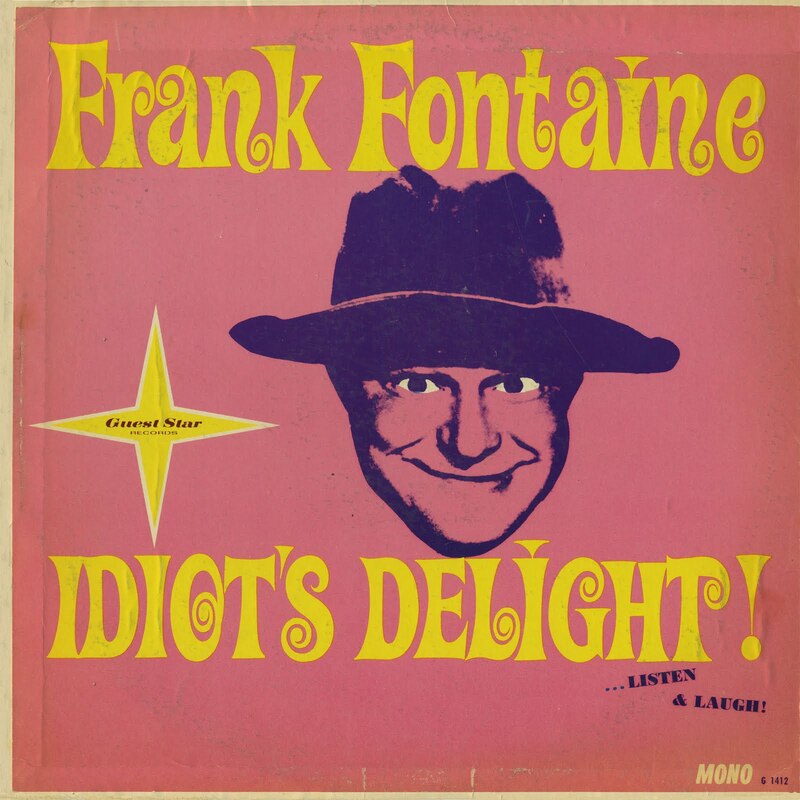 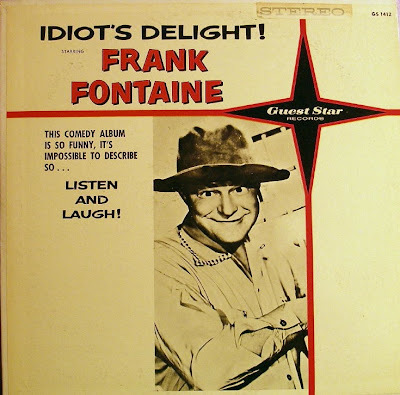 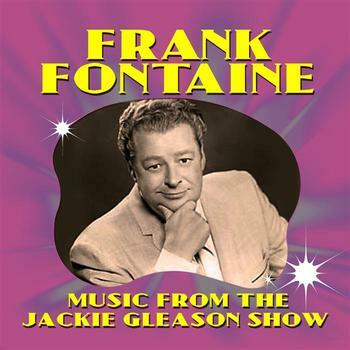 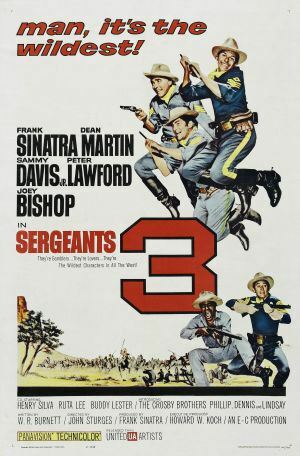 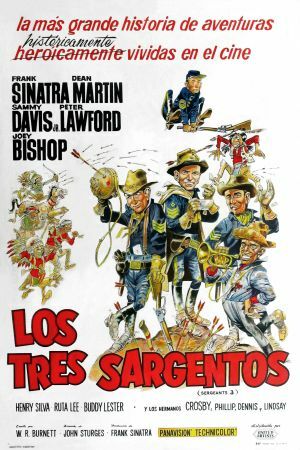 Sergeants 3 was a 1962 remake of "Gunga Din" featuring the 5 members of The Rat Pack, Frank Sinatra, Dean Martin, Sammy Davis Jr., Peter Lawford and Joey Bishop. 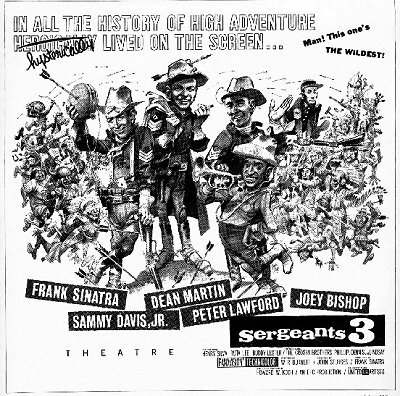 The original fun poster image was created by the great illustrator Jack Davis a year before his iconic "It's A Mad, Mad, Mad, Mad World" poster, but for some unknown reason, finally not used. 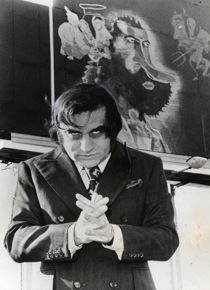 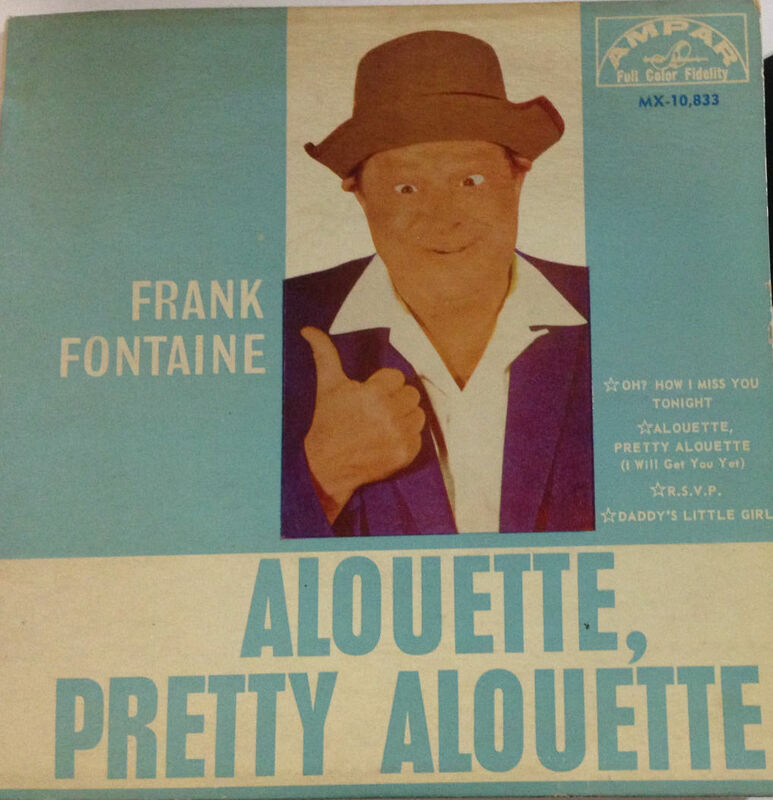 Instead it was used for the films publicity, promotional handouts, ("slicks"), newspaper ads, and for several of the foreign posters for the film. 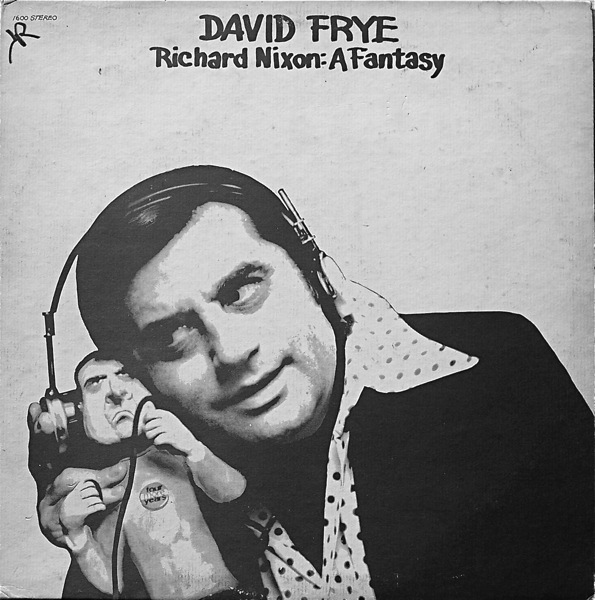 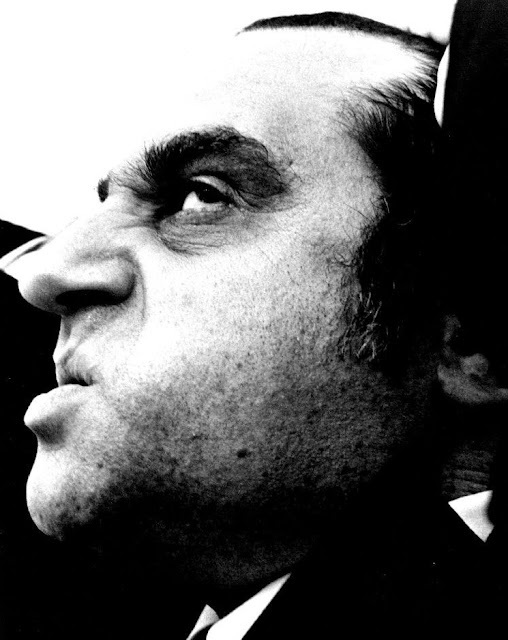 Without a doubt, the best and funniest mimic of 37th President Richard M. Nixon was the manic and intense comic David Frye (born David Shapiro in Brooklyn). 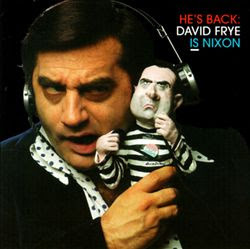 Frye created the definitive Nixon and was really on fire in the late sixties/early seventies, perfecting his devastating Nixon imitation in nightclubs (my father took my brothers and I twice to see Frye perform live in NYC, at Jimmy's Supper Club and at Dangerfields), on television, The Smothers Brother's Comedy Hour and as a semi-regular on "Copycats", and especially in a series of popular comedy albums. 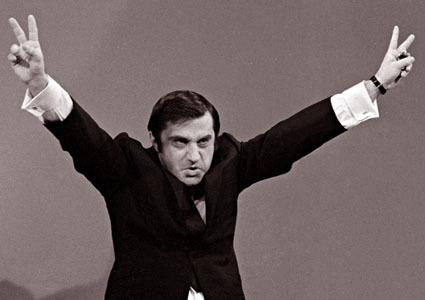 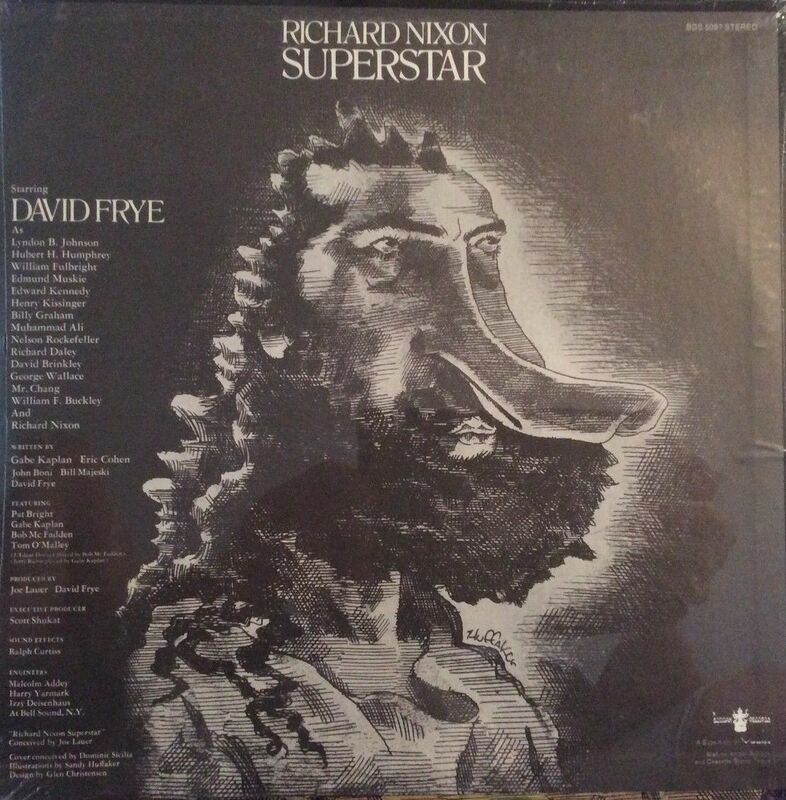 Frye's Nixon impersonation became so good in fact, that by 1973 it sounded (to me) like Richard Nixon himself was performing the material. 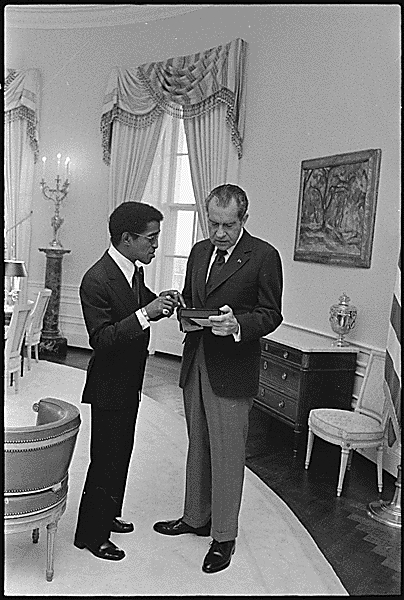 He perfected his impression by matching Nixon's vocal tones and modulations, and by adapting some of his catch phrases, such as "Let me make this perfectly clear" and creating some of his own, including "I am the President... make no mistake about that", and by practicing in the mirror every day. 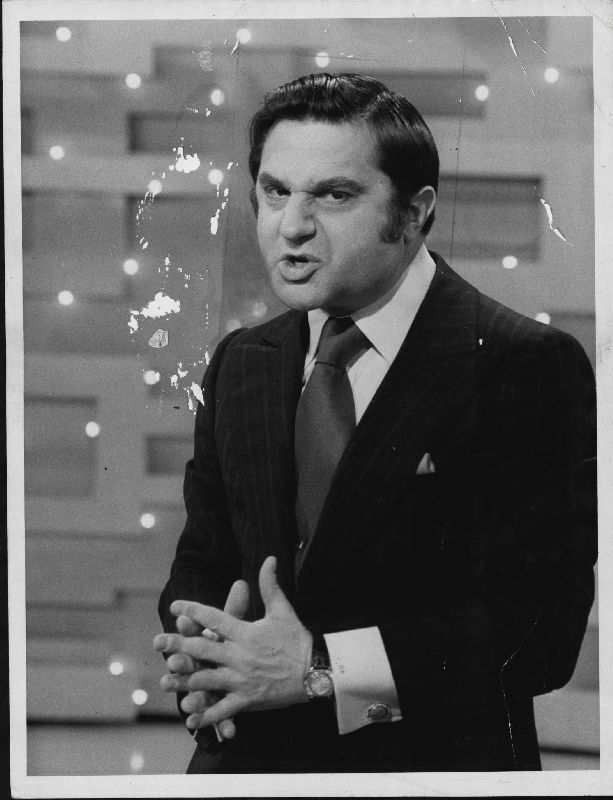 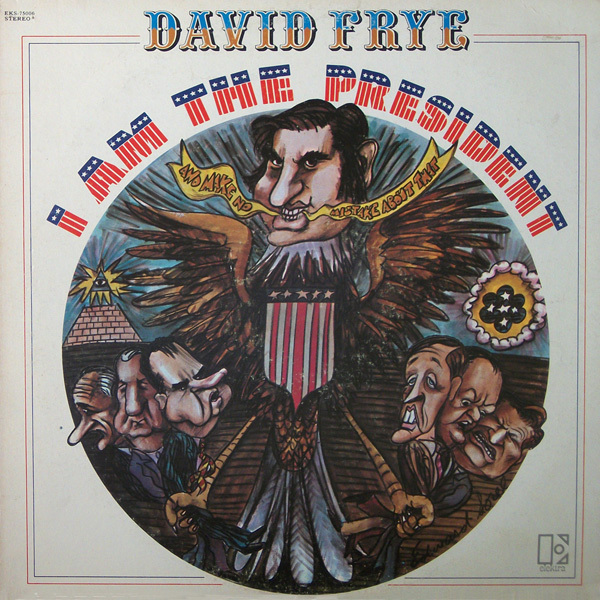 Frye was also served well by some first rate comedy writing, including from a young Gabe Kaplan, helping to create some truly sharp-edged, timely political satire. 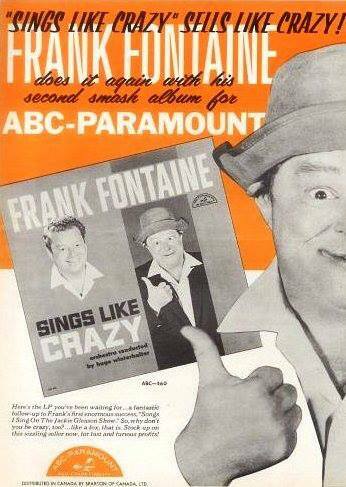 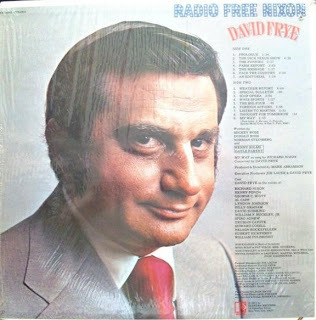 When Nixon resigned in 1974, Frye's career inevitably took a nosedive and despite several comeback attempts including a Bill Clinton album, he never quite rebounded. 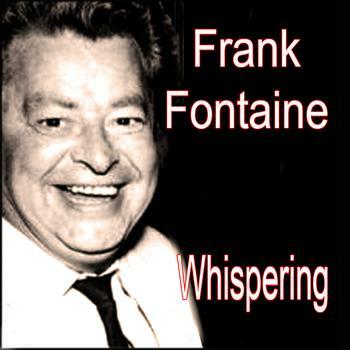 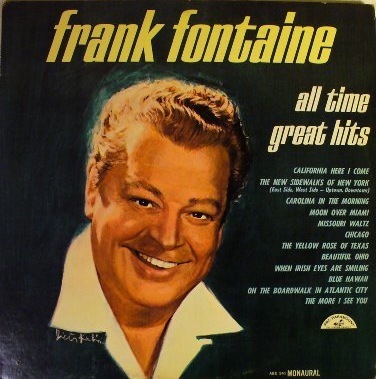 He died in early 2011 in Las Vegas. 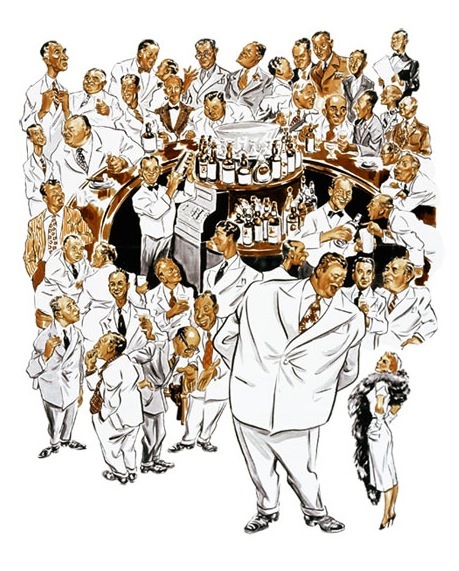 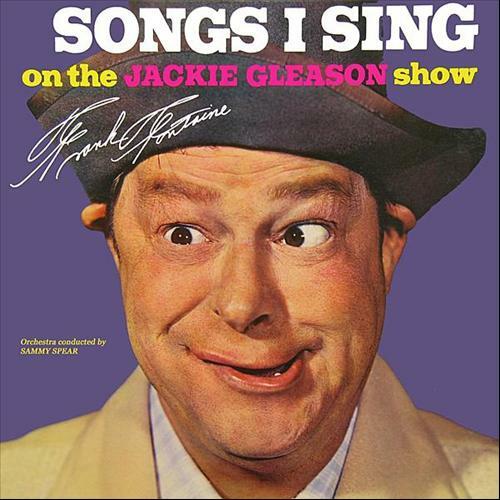 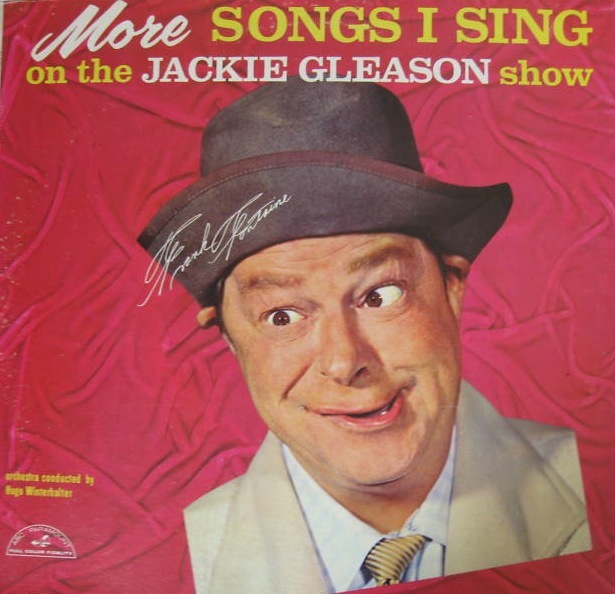 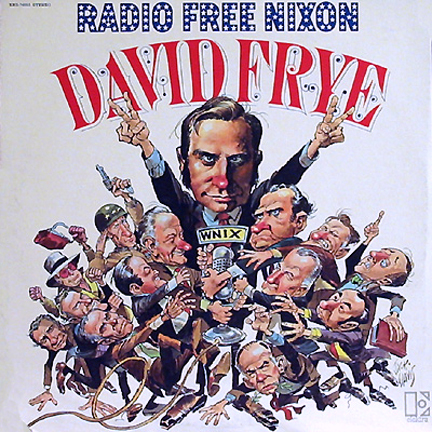 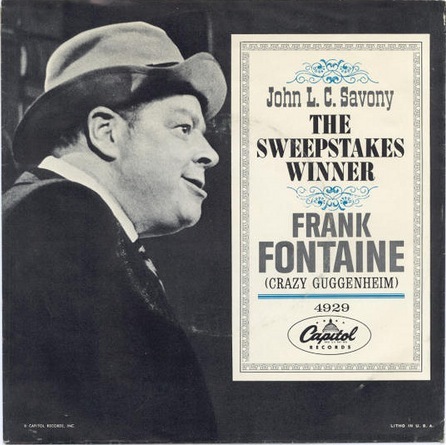 His great legacy remains his four Nixon albums, also special to me because of the artists who were hired to illustrate the covers, some of the best caricaturists of the time. 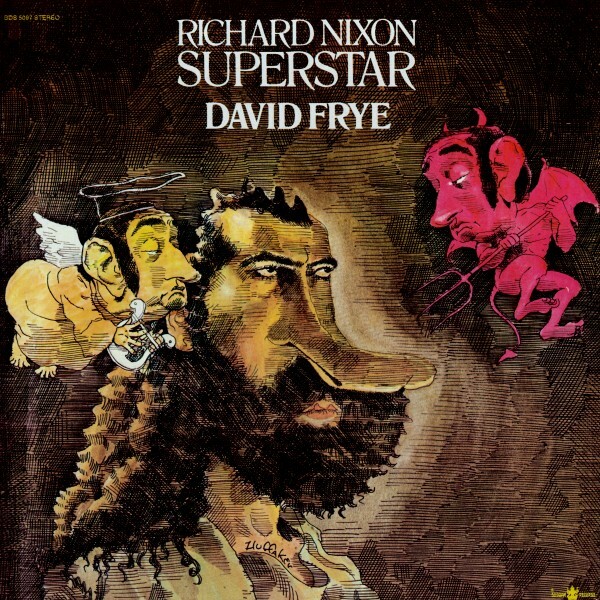 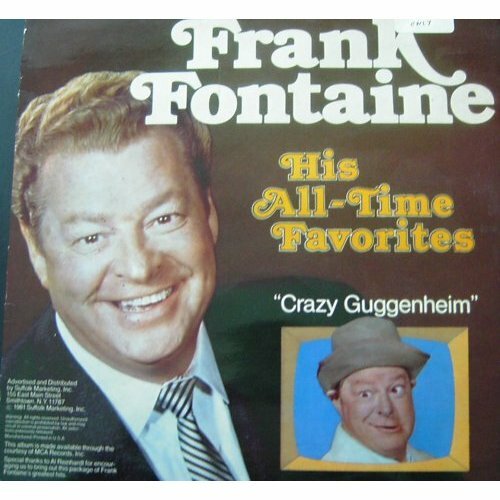 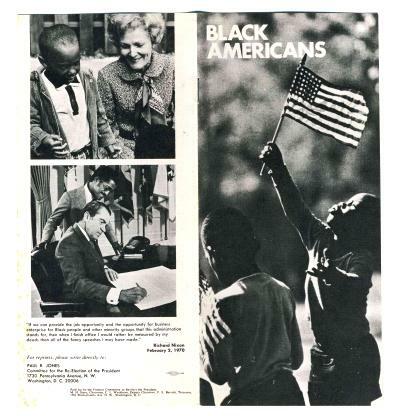 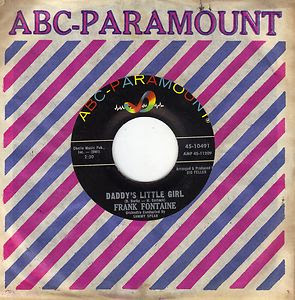 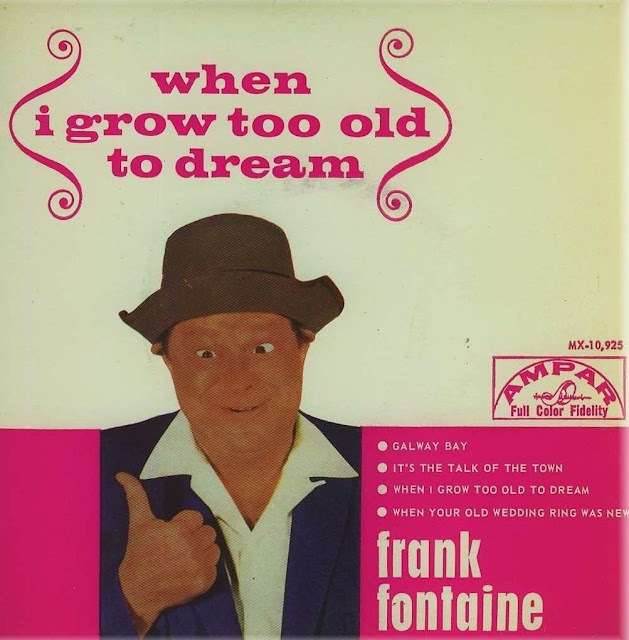 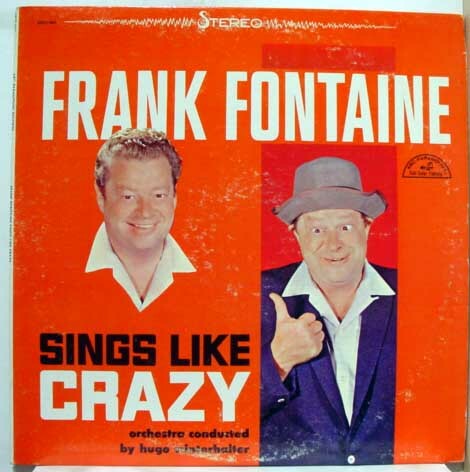 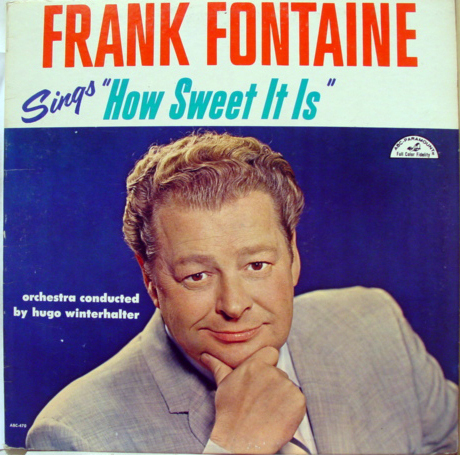 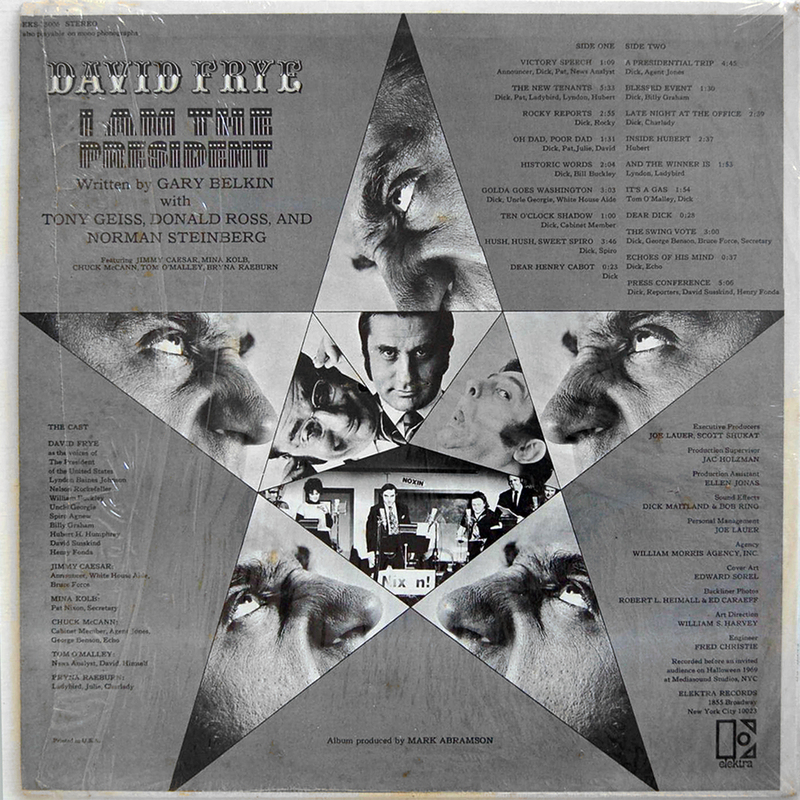 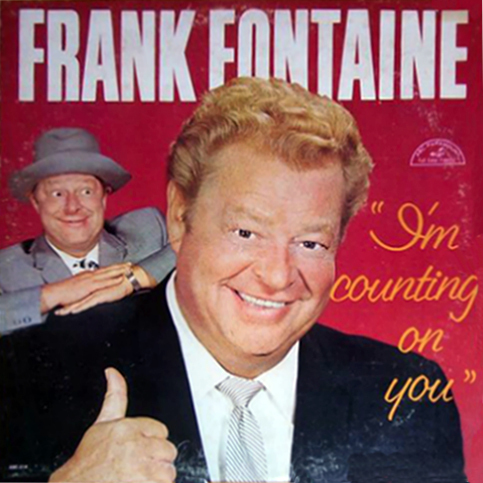 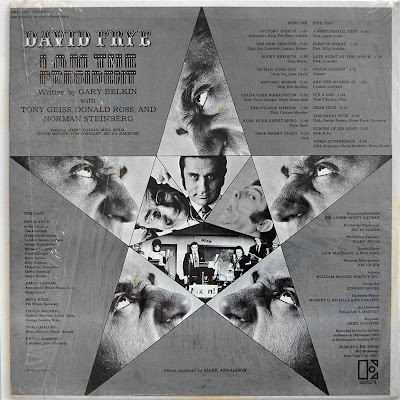 From 1972, narrated by Frye as Billy Graham, cover art by Sandy Huffaker. 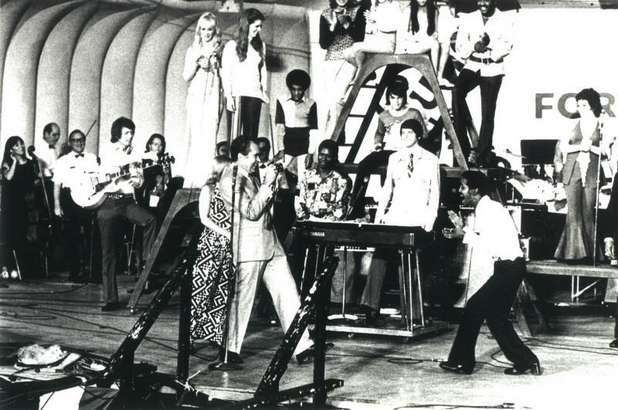 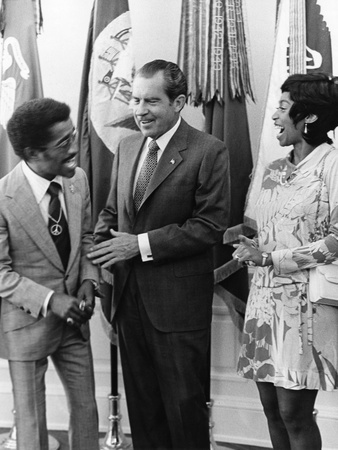 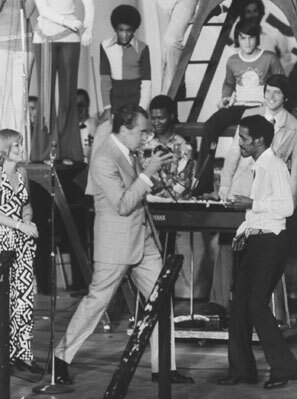 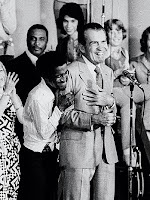 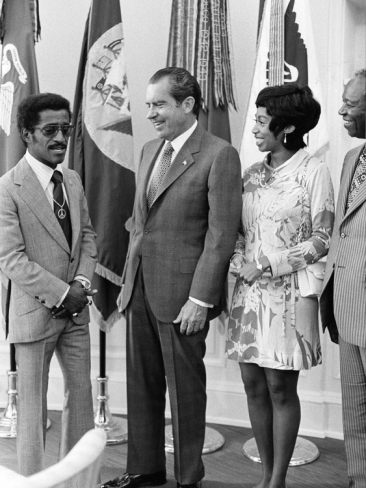 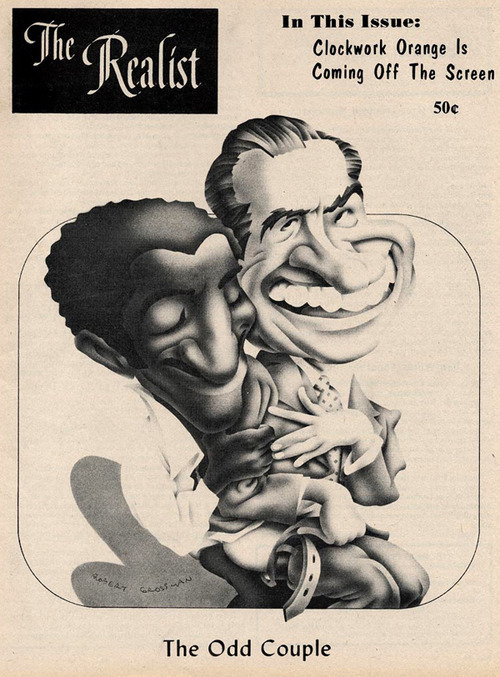 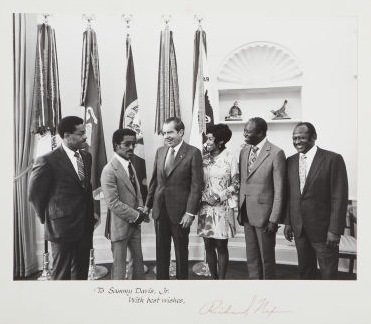 In 1972, entertainer Sammy Davis, Jr., a lifelong democrat, shocked the country by supporting President Richard M. Nixon who was running for re-election and giving him a famous hug on stage at a youth rally during the republican convention in Miami. 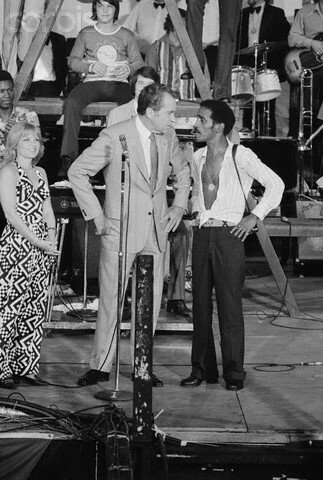 This proved to be pretty controversial and Sammy received hostile reactions from his friends, (aside from Frank Sinatra), democrats, blacks and, southern Nixon supporters. 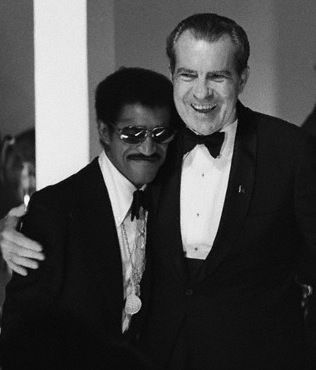 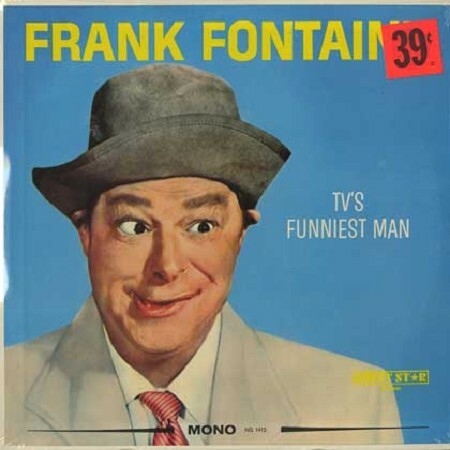 He would later undertake a USO tour of Vietnam at the behest of the Nixon Administration. 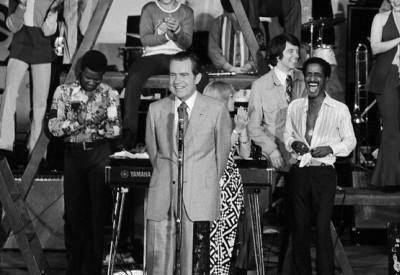 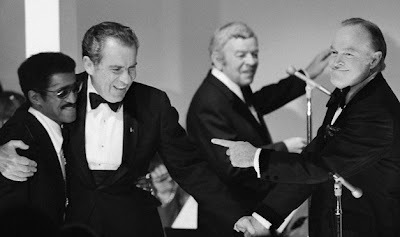 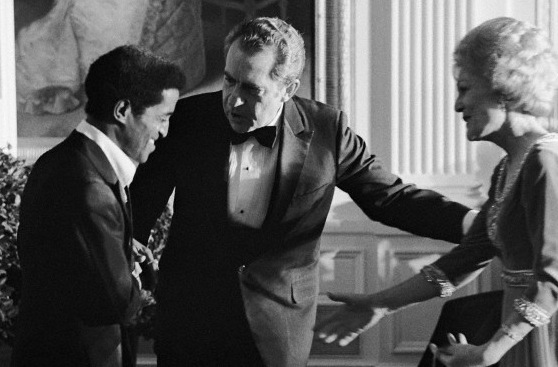 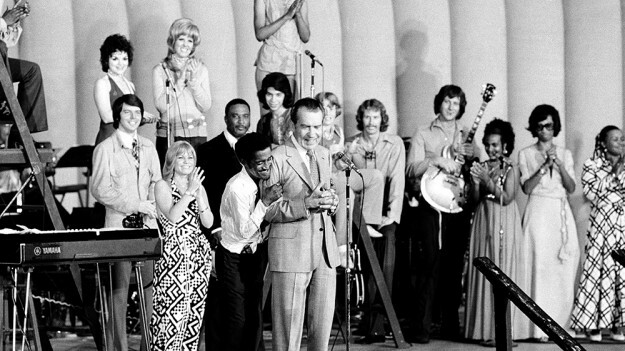 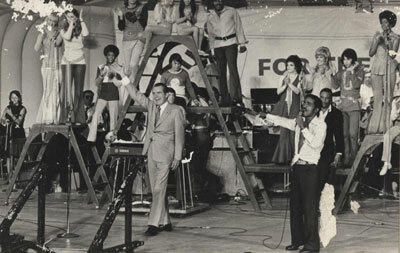 As a thank you for helping to get him re-elected, Nixon invited Sammy to the White House on several occasions, and along with his wife Altovise, to a grand reception in 1973 hosted by Bob Hope. 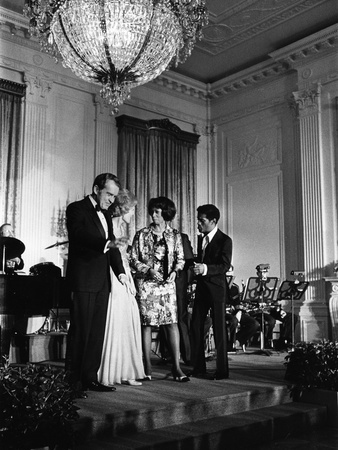 The Davis's were invited to sleep in the White House which is believed to be the first time a black couple was invited to do so. 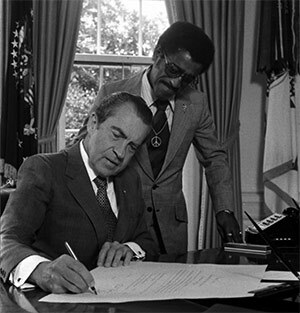 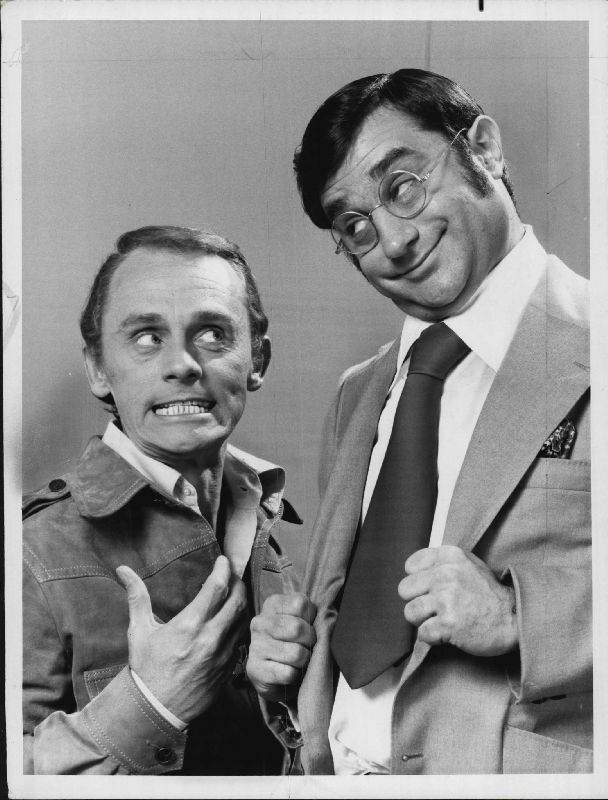 Sammy would later write that he regretted his alliance with Nixon and felt that he was ultimately misled.